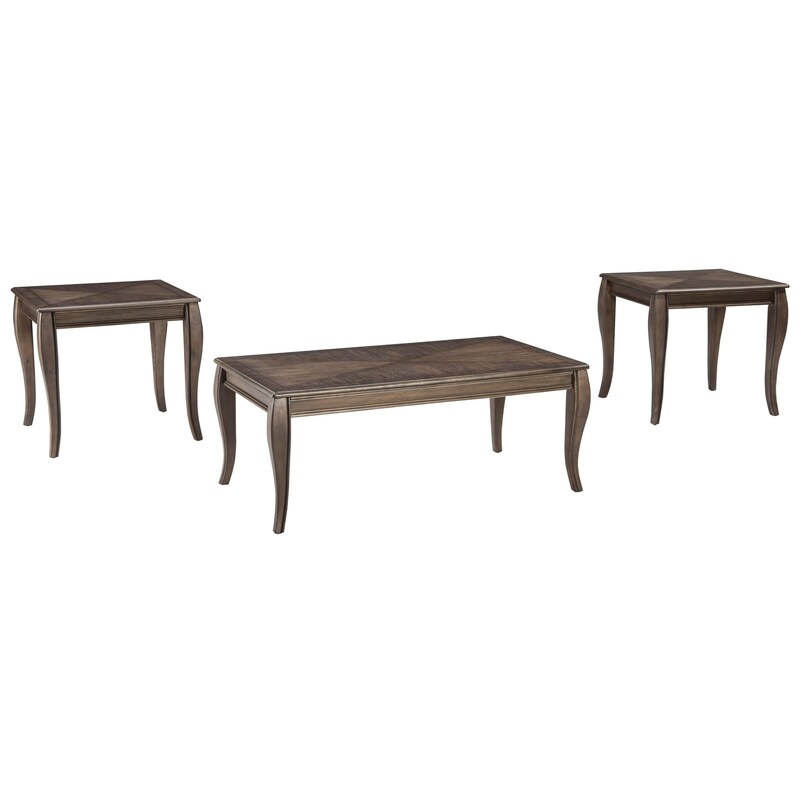 Give your living space some much needed surface space with this beautiful occasional table set. It consists of a cocktail table and two end tables, all of which boast a unique metallic gray finish. Furthermore, each table top features an artistic inlay veneer design that adds a beautiful element. The Montvale Occasional Table Set with Inlay Tabletop Design at Rotmans in the Worcester, Boston, MA, Providence, RI, and New England area. Product availability may vary. Contact us for the most current availability on this product. Featuring weathered finishes and simple, romantic detailing, this collection of tables will bring a Relaxed Vintage feel to your home. The Montvale collection is a great option if you are looking for Relaxed Vintage furniture in the Worcester, Boston, MA, Providence, RI, and New England area.